Lammily: shaping the future of dolls girls can aspire to? Shimmy over Barbie, has your 51 year reign come to an end? Forget glamorous, ‘Average is Beautiful’. That’s right. 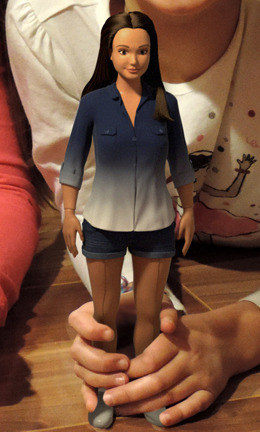 Cindy didn’t quite prevail, but will the new Lammily doll be the next big thing. The creation of researcher and artist Nicholay Lamm, Lammily is a doll with a difference. 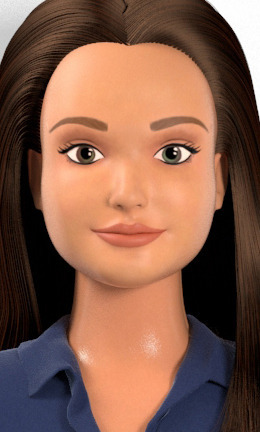 Instead of unrealistic, unattainable and simply ridiculous body proportions, this doll is based on the measurements that came out last July of average American 19-year-olds. This comes as a very exciting revelation to me (sad, I know), as this is something I can use in my dissertation into the effect of children’s media on the self-esteem and body image of young girls. Much of the research I’ve already done with authors of books on the topic points that parents are the first port of call in the protection of young girls seeing images which may affect their body image. So who is this Lammily? Well, she’s a realistically sized young woman in doll form. Healthy and physically fit, Lammily can be seen with a natural face of make-up, casual wardrobe and moveable wrists, knees, elbows and feet for more interactive play. No more hole in the wedding finger for a ring or permanently tip-toed feet for heels like Barbie dolls, oh no! The athletic Lammily is like nothing currently on the market, Lamm said to The Huffington Post, so perhaps parents will take a shine to this doll more than the present Barbie? The message about body image targets parents of daughters. 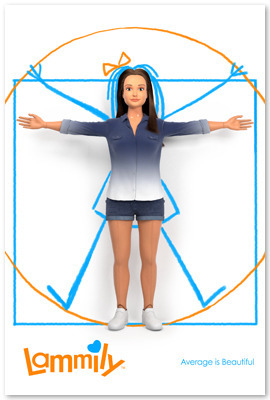 Many young girls do not care about body image, they just want a fun doll to play with. This initial campaign is aimed more towards parents, but the future depends on young girls wanting to play with Lammily. I spent lots of time and research to create a doll which daughters are going to love. She isn’t just a doll with typical body proportions, she’s a fun doll which just happens to have typical body proportions. And everything from the packaging, to future ad campaigns, to future online interactive worlds, will be designed to appeal to kids. The project is being funded by a crowd-funding campaign which has already obtained 4740 backers; collecting 165% of the intended amount to be raised. With more than $146,000 raised by members of the general public, it’s clear to see this is an idea people are welcoming into society. Although not in production yet, these photographs are of the prototypes and the money raised will go towards the creation of Lammily dolls. I, for one, am thrilled that something which has been seen to have such a huge effect on young girls’ ideas of an ‘ideal’ body is taking a stand against thin ideals; something which has been linked to the development of depression, body image issues and disordered eating habits in girls and young women. Let this be the start of a real body revelation. Something that really sticks. Lammily, you rock!